Reminisce Smith (born May 30, 1980), better known by her stage name Remy Ma, formerly RÃ©my Martin, is a Grammy-nominated American rapper and former member of Big Pun’s rap crew, Terror Squad. 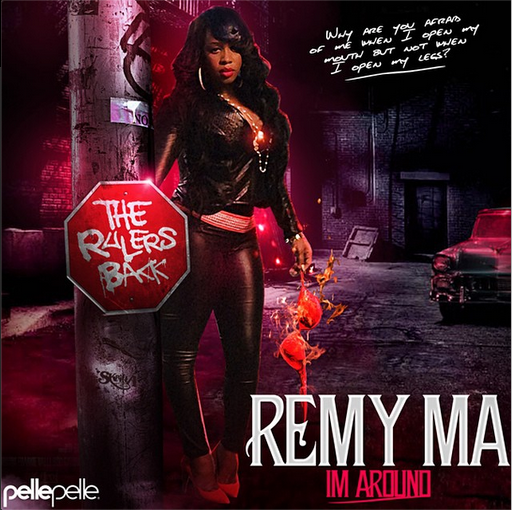 Ma was featured on the group’s hit song “Lean Back” from their second album True Story and M.O.P.’s “Ante Up (Remix).” Her debut solo album, There’s Something about Remy: Based on a True Story, was released on February 7, 2006. She is one of only four female rappers to ever have a number one single on the Billboard Hot 100 chart, with Terror Squad’s number one single “Lean Back.” She has also won two Vibe awards, two Source awards, an ASCAP pop award and a BET award for “Best Female Hip Hop”, as well as two other nominations. Remy cites Big Punisher and Roxanne Shante as her biggest influences. Smith served a six year jail term of her eight year sentence in the Bedford Hills Correctional Facility for Women for shooting Makeeda Barnes-Joseph in the abdomen over a missing sum of $3,000. She was released in July 2014 and began recording new music with DJ/Producer DJ Khaled immediately after her release. In 2011, Remy Ma’s music was featured and discussed in a documentary, Black Lifestyle in Japan, where she was praised for looking “stylish” and “beautiful” and outlined as one of the most frequently listened to hip-hop musicians in Japan, amongst younger female generations.